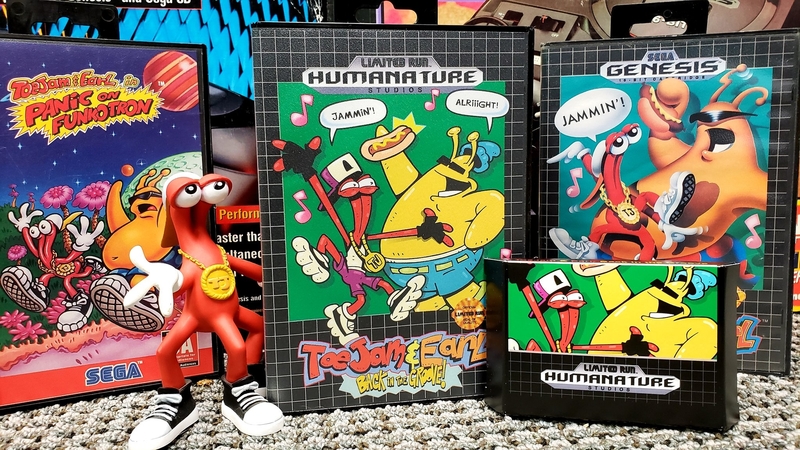 ToeJam and Earl: Back in the Groove is set to bring back a long-dormant franchise with a style all its own. Today, Limited Run Games announced that they will be releasing a physical version of the game on the PlayStation 4 and Nintendo Switch. An exact release date wasn’t released, nor was the final prodcut shown off – but they did reveal some Genesis-inspired cases for the game at PAX West. While it’s unlikely that we’ll see the Genesis-style clamshell releases for the final product, it’s easy to imagine a few variants of reversible art – with one for the grid paper cover art-era of Genesis covers and another for the red line trim versions. Back in the Groove is set for release later in the year, and comes from HumaNature – a company founded by series creator Greg Johnson. Back in the Groove is set for release soon, but doesn’t have a finalized release date.